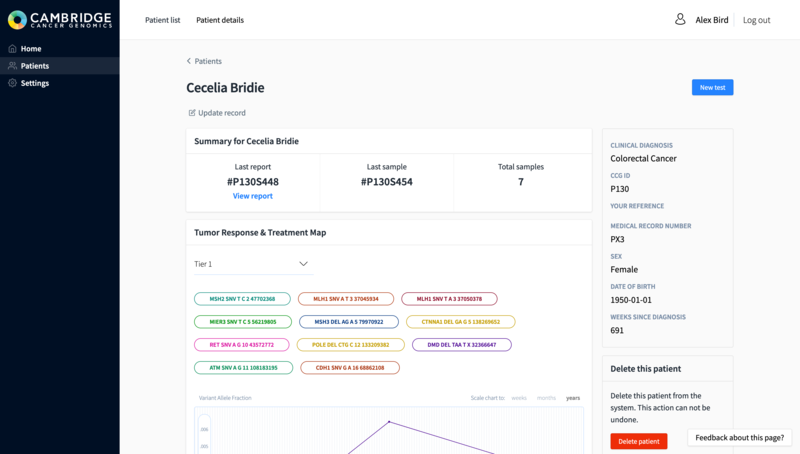 Everything a clinician needs for precision oncology, in one interface. High accuracy variant calling with detailed reporting on mutations found in each sample. Patients are matched with trials that are seeking specific molecular profiles. Reporting on Micro-satellite instability (MSI) and tumor mutational burden (TMB)*. Chosen from a range of molecularly targeted FDA-approved, off label, or experimental therapies. Full name Email Address Job title What is the nature of your sequencing analysis currently? My organisation performs sequencing (targeted WES, WGS) for cancer patients. My organisation has an in house bioinformatics team. *Some features are currently in development and are due to be added soon.